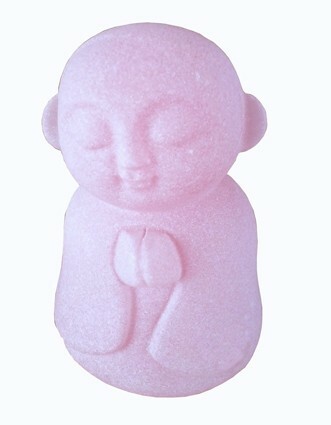 Gorgeous frosted pink Jizo statue. Comes in gift box with card. 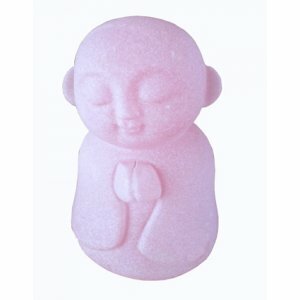 Pink resin Jizo statue, Jizo statue with hands folded. Such a peaceful expression. Made from pink resin and comes in a padded gift box with story.Peaceful Jizo statue in antique bronze finish. Standing with hands folded in front as a sign of humbleness.Gazing directly with eyes open as in meditation. Height 60mm or approx 2.5"